We all know how it goes, just popping over to the allotment for half and hour you get engrossed in a job or two, the sun comes out and suddenly it’s two hours later. The problem? Well none really, except you’re a bit hungry and could also do with a coffee. Having been caught out many times in the early days of having the plot now I always like take something with me, just in case. 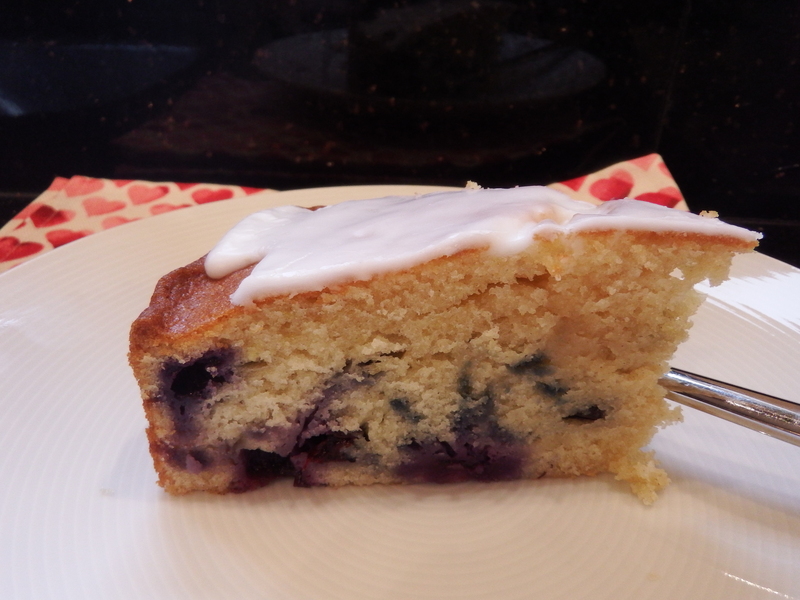 Not that a slice of cake ever goes amiss and this one using fresh blueberries and a lemon icing is super easy to put together and has a fresh and tangy flavour that will go perfectly with a morning brew. A loose based 4cm deep 20cm cake tin, base lined and greased. Sift the flour into a bowl with the baking powder, add the sugar. Melt the butter, cool and whisk together with the eggs and milk. Mix into the flour and sugar. Add the zest of the lemon and fold in the blueberries. Pour into the cake tin and bake for 40 minutes. Leave in the tin for 10 minutes and then remove and place on a cooling rack. To make the icing mix the icing sugar with the juice of half of the lemon. When the cake is fully cold smooth the icing over the top. YUM! 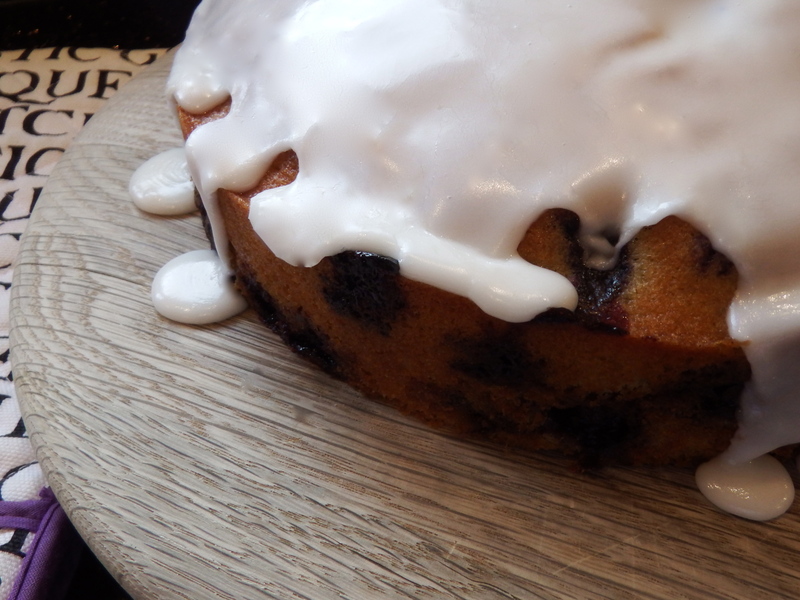 I am going to save this recipe for next year so I can use my own blueberries. Even though my allotment is at my house I usually take a teapot with me to the polytunnel because I can’t be bothered to go back into the house to make a cup. Too much to do and too little time! Thank you Laila. 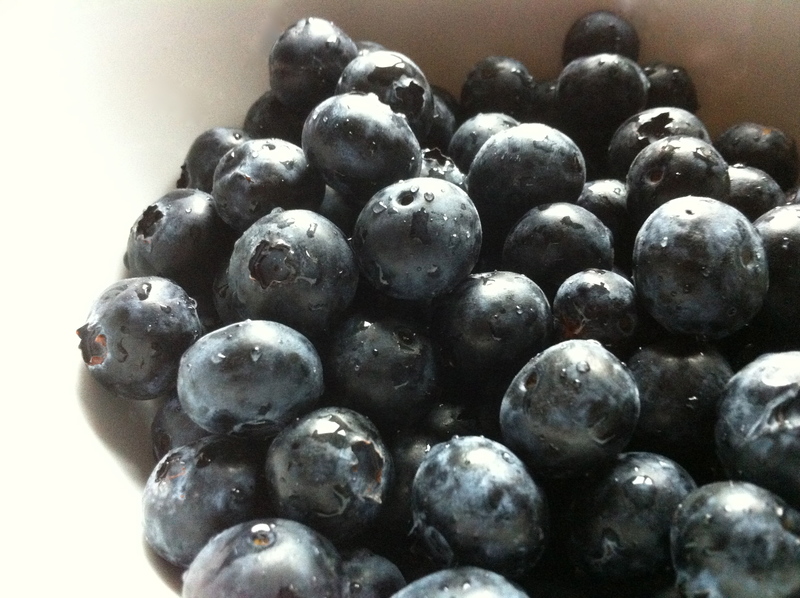 I should have posted this a couple of months ago so people could use their home grown blueberries. Will think a bit more about this in future. We’re very lucky that our warden Bob usually makes coffee and tea for everyone if he’s on site but I always take a flask anyway especially in the colder months. Hope all is well with you. V.
I wish I had a Bob around here! Ha Ha Sometimes I do miss the companionship you have on allotments. Chatting with others, drinking tea and exchange tips. Oh well, there is still the internet! I’ll tell him that next time I see him! The social side of the allotment is one of things I love the most about it. This cake looks great! Blueberries and lemon go so well together! Thanks! Thank you so much for taking the time to read. As well as the flavours it appealed because it’s so quick to put together.